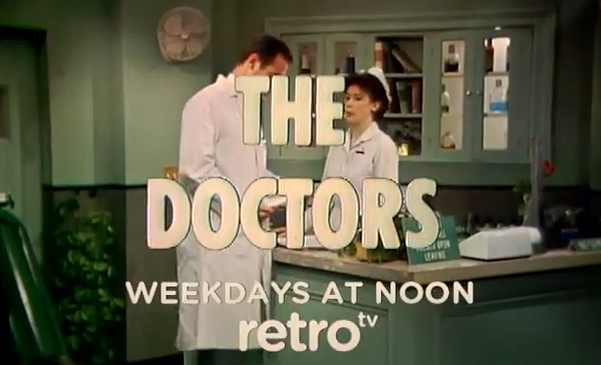 The Doctors, a daytime soap opera that ran on NBC from 1963 to 1982, is back! The show debuts in Retro TV's afternoon lineup starting Monday, September 29th. The network will air two episodes Monday through Friday at 12 p.m. ET/PT, picking up the story in 1967. Set in Hope Memorial Hospital in the fictional New England city of Madison, The Doctors centers on the hospital's Chief of Staff Dr. Matthew Powers (James Pritchett) and his dedicated team. The daytime drama ran for 19 years, spanned 5,280 episodes and won several Daytime Emmy Awards including Outstanding Drama Series (1974), Lead Actor (James Pritchett, 1978) and Lead Actress (Elizabeth Hubbard, 1974). The show was also nominated for multiple Primetime Emmy Awards (before Daytime had its own ceremony) and won in 1972 for Outstanding Achievement in Daytime Drama - Programs.